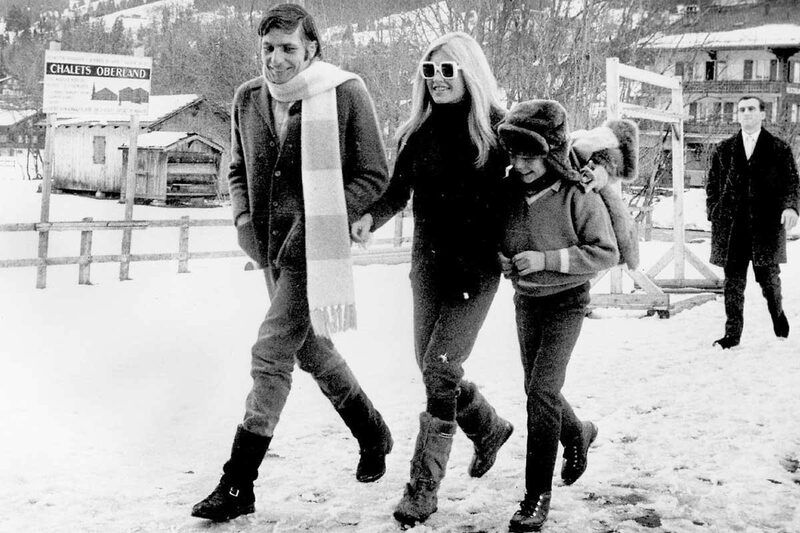 Gunter Sachs and Brigitte Bardot on holiday in the Swiss Alps. When it comes to a rakish snow escape, it pays to dress the part. 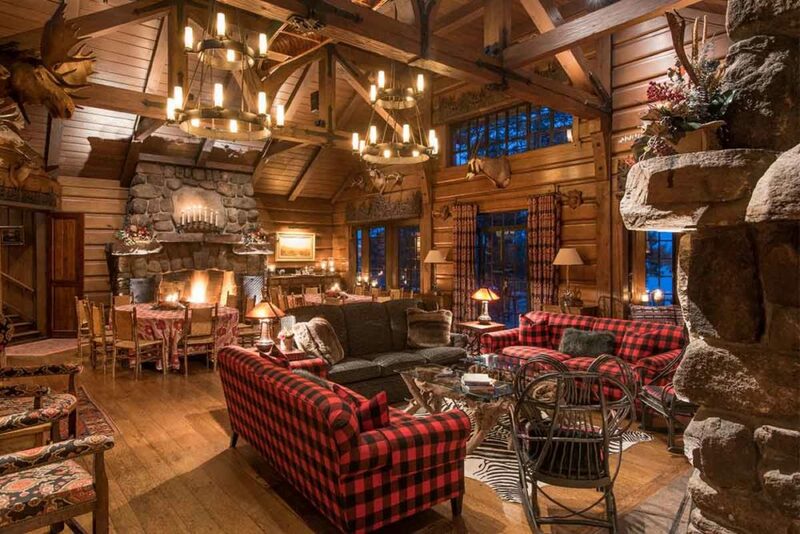 Whether you’re a seasoned ski bunny or better accustomed to the relaxed (read: louche) conventions of après ski, the secret lies in striking a balance between functionality and flair - a feat that needn’t be overly complex. 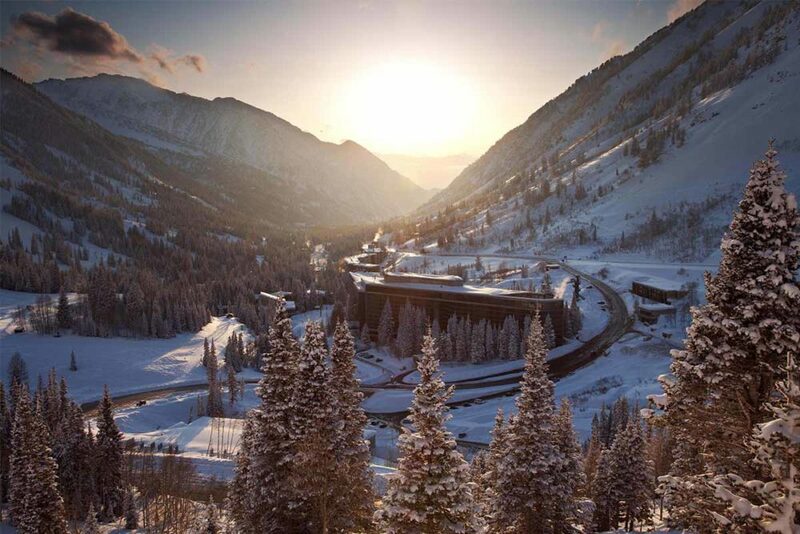 Take inspiration from your environment: at a resort like the iconic Cliff Lodge in Snowbird, Utah - which is decidedly classic with a contemporary edge - keep things refined and elegant, with luxurious fabrics and tech-savvy garb. For essential weatherproof pieces like down jackets and trousers, look to vintage inspired ski-wear brand Alps & Meters, which fuses the technical elements of modern snow-wear with timeless design, or renowned French label Fusalp, champions of the sport-chic silhouette. A lambswool sweater from British outerwear experts Shackleton will provide equal parts comfort and style when it comes to après-ski. A wintry city break provides a prime opportunity to demonstrate your slick sartorial prowess, and where better than the perennially exquisite Venice to truly shine? Home to some of the world’s finest examples of art and design, the city is brimming with culture, so wardrobe inspiration is in no short supply. 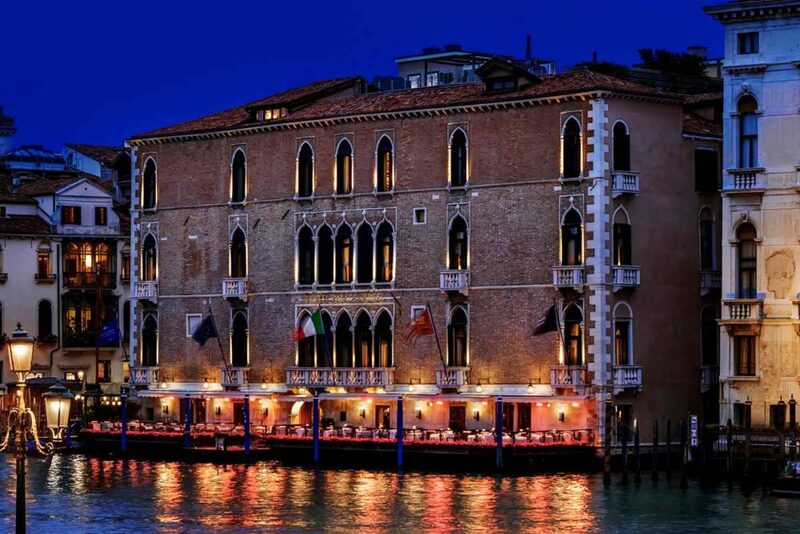 To sample true luxury, book yourself into the lavish Gritti Palace, a veritable exemplar of Venetian splendour that occupies a prime position on the Grand Canal. The elegant surroundings will no doubt serve to inform your outfitting: think sumptuous woollen layers in rich tones of burgundy and navy, paired with dark tailored trousers and classic leather wingtip derbys. Don’t shy from bold details, for if ever there’s a place to embrace flair, it’s undoubtedly Venice, a city so famed for its eccentricities. Desperate for a dose of winter sun? 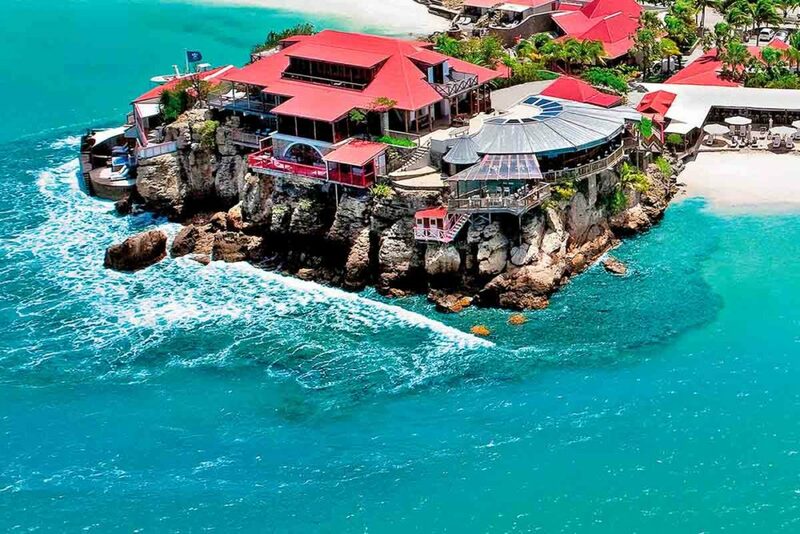 The ever-elegant Eden Rock in St Barths is just the place to get your fix. A renowned bolthole for glamorous members of the Hollywood glitterati, it calls for suitably sophisticated attire - rubber flip flops and singlets have no place in such chic environs. Instead, take cue from cinematic icons like Alain Delon in Plein Soleil or Sean Connery’s Bond and channel an artful nonchalance by opting for soft silhouettes and lightweight linens and cottons. Your ensemble needn’t be complex: relax poolside in seersucker swimshorts by London-based brand Hemingsworth and come lunchtime, throw on a handcrafted linen shirt by Magnus & Novus. In terms of footwear, Manebi espadrilles are ideal for transitioning effortlessly from beach to bar. Such a low maintenance approach generates a timeless holiday aesthetic that endures for good reason. Set on the lush wooded shore of Upper Saranac Lake, the Point in Upstate New York lends a whole new meaning to the notion of roughing it. The retreat was built in the 1930s by William Avery Rockefeller and remains much-loved by those wanting to embrace the great outdoors whilst maintaining a certain level of comfort. When it comes to packing for such a destination, choose versatile garments that fuse form with function, layering fabrics like corduroy and cashmere to capitalise on both warmth and style. An understated cable knit jumper by British label Connolly worn beneath a durable, weather-proof jacket by William & Son makes for a rakish pairing. And a scarf is non-negotiable: Gieves & Hawkes’ autumnal-toned fringed offering is the perfect finishing touch.